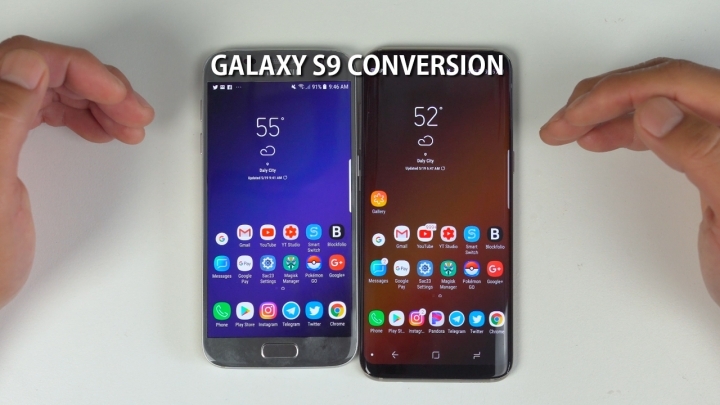 For those of you who want to convert your Galaxy S7/S7 Edge or S8/S8 Plus into Galaxy S9 with latest Android 8.0 Oreo, you can do it with the Galaxy S9 ROM called “Sac23 S9 Ported ROM”. XDA user Sac23 has fully ported Galaxy S9 firmware to the Galaxy S7/S7 Edge and Galaxy S8/S8 Plus. Apart from any features that require hardware from the S9, you will be able to fully enjoy S9 software on your S7/S7 Edge or S8/S8 Plus. This is Android 8.0 Oreo ROM with the latest Samsung Experience 9.0. 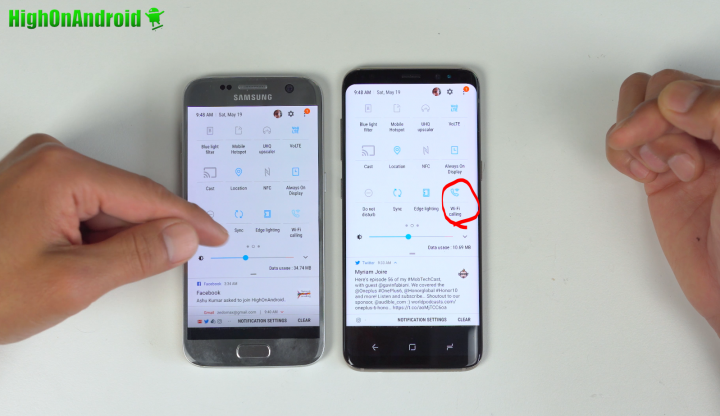 For step-by-step tutorial on how to install the S9 ROM on your Galaxy S7 or S7 Edge, see How to Install Galaxy S9 ROM on Galaxy S7/S7 Edge! For step-by-step tutorial on how to install the S9 ROM on your Galaxy S8 or S8 Plus, see How to Install Galaxy S9 ROM on Galaxy S8/S8 Plus! First, this S9 ROM will give you the latest AR emoji stickers and fully-working Bixby. The only thing missing is the ability to make your own AR stickers. And reboot menu does give you option to go straight into recovery or download mode, making life much easier on folks like myself you who flash a lot of ROMs. The Galaxy S9 ROM comes with a fully-customizable TouchWiz launcher using GrxTouchWiz Mod, which allows you to easily change your home/app screen grids up to 9×9! Also, you will be able to fit more apps in your navigation bar at the bottom, which I love about the ROM. For speakers, it also comes with dual-speaker AND loud-speaker MOD, meaning you will be able to enjoy loud, stereo sound just like a real Galaxy S9. And yes, you also get Dolby Atmos for enhanced listening. As for new features on the S9, you will get the same video wallpaper ability and put GIFs on your Always-On-Display. 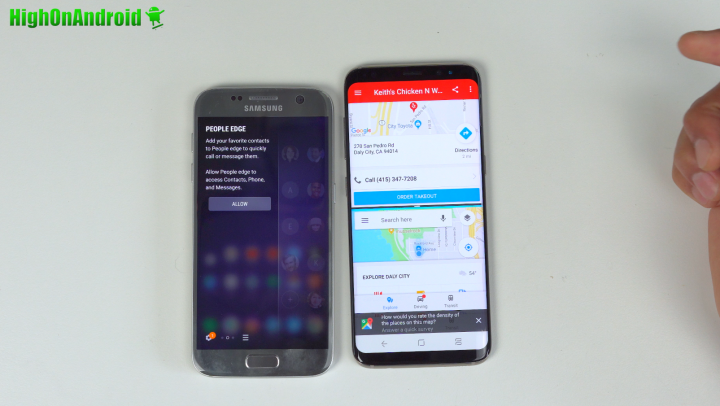 For Apps Edge, you will enjoy the full Galaxy S9 Apps Edge along with the new App Pair so you can easily split screens while using any of your favorite two apps(e.g. When browsing Yelp, you can have Google Maps open). Rooted phones usually don’t have S-Health app working but with this Galaxy S9 ROM, you will be able to fully enjoy your S Health app. For root, the ROM comes rooted with Magisk v16.3, you will be able to run rooted apps flawlessly along with ability to hide root so you can run any apps that check for root(such as Pokemon Go or banking apps, see video for demo). And yes, SafetyNet passes 100% on this ROM. Samsung Pay will NOT WORK but you will be able to use Google Pay instead. For your mobile connection, I get better signals than my T-Mobile Galaxy S7/S7 Edge and actually picking up 4G+(4G Advanced), it seems that the international models supported the newer bands a few years before T-Mobile enabled them on their newer phones. And yes, stock firmware on these international models do not give you WiFi calling but you will be able to get WiFi calling with T-Mobile on this ROM! Performance is out of this world as there are many performance tweaks on this ROM and I got a very respectable score of 175885 on Antutu, which is actually near a Galaxy S8 scores! And I love the fact that this ROM gives you edge lighting notifications anytime just like a Galaxy S9 while stock Galaxy S7 firmware only does edge lighting when your phone is faced down. A slew of additional customization is offered through Sac23 Settings, which will allow you to customize your lockscreen, notification panel, hardware keys, and much much more. 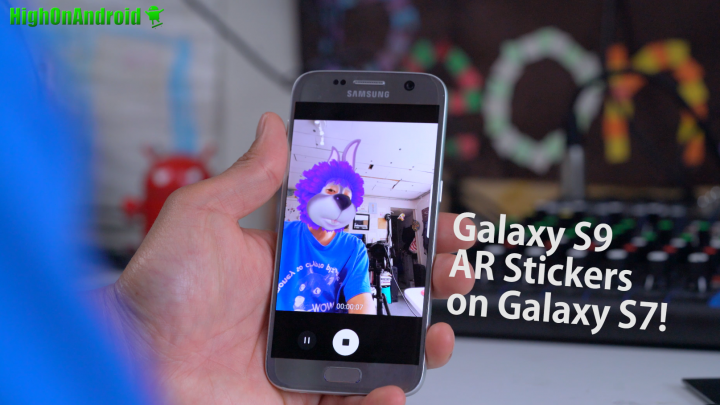 Overall, this ROM will literally convert your Galaxy S7 or S7 Edge into Galaxy S9 and even if you don’t have a Galaxy S7 or S7 Edge, if you want to get the best smartphone under $400, you can buy a brand, new Galaxy S7 or S7 Edge for around $360 on eBay and load this ROM up, which will be better than any other budget Android smartphone out today for the same price. 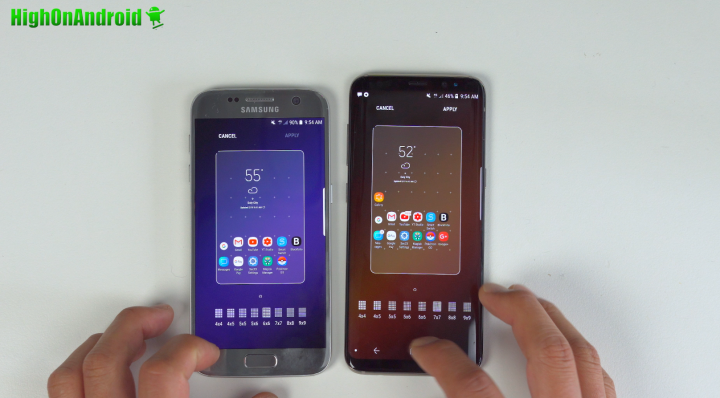 Galaxy S7 and S7 Edge are definitely my favorite older flagship phones as that was when Samsung really perfected their IP68 rating along with a much better camera and battery life than their predecessors. While Galaxy S8 and S9 updates have been very nice, if you are looking for the best deal on smartphones, this could be the way to save a bunch of money on a new smartphone. I recommend getting the SM-G930F or SM-G930FD(dual SIM) for Galaxy S7 or SM-G935F or SM-G935FD(dual SIM) for Galaxy S7 Edge as they are 100% compatible with this ROM. These custom ROMs cannot be installed on U.S. models with Snapdragon as they have locked bootloaders unfortunately. Also I would avoid Korean models as they don’t support as many bands as international models since they are only built for the Korean carriers. But if you are using it in South Korea, they are fine. What are ROM S9 S8 plus for more operate the secure folder? 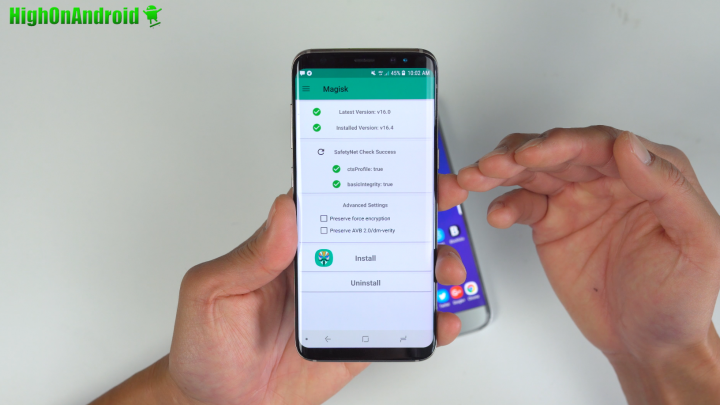 This ROM gives you almost all the software features on Galaxy S9. my s7 930fd is stuck on bootloop, is there any salvation for it? Max, I’ve tried the ROM but am not a fan of it. Can it be downgraded back to Nougat? Yes you can simply flash Nougat firmware. Hi Lee, thank for your sharing. I have a question for this ROM. I have a S8 SM-G950N from Korea, Can I use dual sim when using this S9 ROM ? Or just 1 Sim ? How can I fix my S8 from 1 sim to dual sim without install packed ROM from another developers ? Thank you. Yes dual SIM works fine, you can install this on both single or dual SIM models. Does secure folder work with this rom? Just want to know in Advance. Thanks. It does not work for me, some error message related to Knox. Hi Max, first of all thanks a lot for great work you’re doing! I have the S9 Alexis rom perfectly working on my S8 Plus. One question, do you know if there is already an update for this rom, having the same camera features as S9? Thanks a lot! By the way, I discovered a new version at android file host. Or not? Sac23 Custom Rom 93XX 9/18/18. As the date suggest it is 4 month newer than the 5/5 version. But the filename has no s9 (port) in it. I cant find a changelog. Does anyone knows what this rom contains? Is it the newest s9 port version for the s7 (edge)? Next story DO NOT USE Waterproof Smartphone in Sea Salt Water! Previous story LG G6 Underwater Snorkeling Test!